Buy LaughLau a Coffee. ko-fi.com/laughlau - Ko-fi ❤️ Where creators get paid by fans, with a 'Buy Me a Coffee' button. Hi, I'm Laura, but you can also call me LaughLau! I was born in 1993 and I grew up in a small town in Sardinia, Italy. 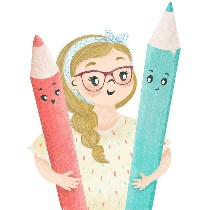 In 2015 I settled in Milan where I work as Freelance Children Illustrator. I am a self-taught so I really enjoy drawing and improve my skills everyday. If you like my works you can support me on my Etsy and Society6 Shops or also offering me a virtual coffee! Secured Payments. Support goes to LaughLau's account. Upgrade LaughLau to a yearly Gold Membership with a one-time payment.